869) Ask and It Will Be Given You? Psalm 37:4 is one of those verses that Christians can twist to suit their own fancy. I have heard some preachers claim, on the basis of this verse, that God will give us anything we want. If we simply “claim it,” God will give us mansions, yachts, luxury cars, and, well, you name it. To be sure, God can and does bless us materially. But if we argue from Psalm 37:4 that “God will give you anything you want,” we miss the whole point of the verse. Yes, this verse does promise that the Lord “will give you your heart’s desires.” But notice the context. That promise comes after a command: “Take delight in the Lord.” If we put our delight in God, THEN he will give us the desires of our heart. How does this happen? It isn’t some kind of divine system of rewards. Psalm 37:4 does not mean that if we enjoy God, he will decide to reward us by giving us all the luxuries we want. Rather, if we delight in God, if we focus on God’s nature, if we love God with all that we are, we’ll discover that the desires of our heart will be transformed. We will stop being so concerned about our own “stuff;” even about our own well being. Instead, we will start to yearn for the things of God, for his truth and peace, for his justice and mercy. Our desires will begin to reflect God’s own desires for us and for this world. Thus we will want what God wants, and he will give that which is according to his will. Moreover, the more we take delight in the Lord, the more we will discover that what we desire most of all is a truer and more vital relationship with him. Strangely enough, a closer relationship with God both satisfies our deepest longing and intensifies that longing. So as we learn to know God better, our heart’s desires will be increasingly focused on God. We will seek him above all and, by his grace, find him. Thus, in this way, God will give us the desires of our heart. –By Mark Roberts, Daily Reflections, March 5, 2011 Blog at: http://www.thehighcalling.org (adapted). Psalm 37:1-5 — Do not fret because of those who are evil or be envious of those who do wrong; for like the grass they will soon wither, like green plants they will soon die away. Trust in the Lord and do good; dwell in the land and enjoy safe pasture. Take delight in the Lord, and he will give you the desires of your heart. Commit your way to the Lord; trust in him and he will do this. 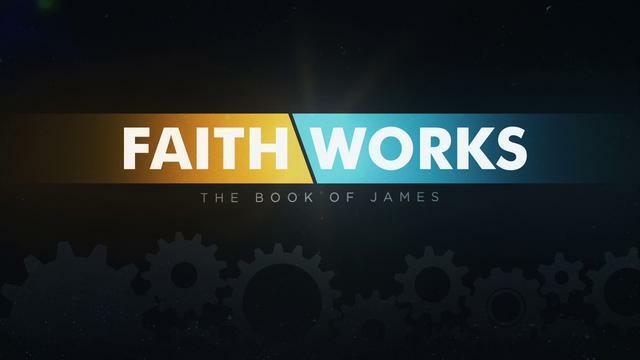 James 4:1-3 — What causes fights and quarrels among you? Don’t they come from your desires that battle within you? You desire but do not have, so you kill. You covet but you cannot get what you want, so you quarrel and fight. You do not have because you do not ask God. When you ask, you do not receive, because you ask with wrong motives, that you may spend what you get on your pleasures. James 4:8a — Come near to God and he will come near to you. I ask you, Lord, to align my desires according to the ways of your own heart. May I want what you want. May I seek that which is consistent with your will. Let your will guide my prayers, my actions, my words, and my desires. All praise be to you, gracious God, because you give me the desires of my heart. Most of all, you give me the gift of close relationship with you. Amen. The New Testament builds on those Old Testament expressions of confidence. In Philippians chapter three, Paul speaks of Christians as those who glory in Christ, but put no confidence in the flesh; this ‘frail, frail flesh’ as Shakespeare described it. We do have to depend on this frail flesh for a while. You wouldn’t be sitting here today without it. But we can’t depend on it for very long. 75-80 years, or perhaps a few more, and that’s all. So Paul says, it’s no use putting much confidence in such a temporary thing as that. Those of you who watched Ray die saw in these last few weeks saw how ‘frail‘ this flesh really is, and what happens when it does fail. But Paul has more to say on the subject. In II Corinthians chapters four and five he wrote: “Therefore, we do not lose heart. Though outwardly we are wasting away… (that’s what happens to flesh), yet inwardly we are being renewed day by day. For our light and momentary troubles here, are achieving for us an eternal glory that far outweighs them all. So we fix our eyes not on what is seen, but on what is unseen. For what is seen is temporary, but what is unseen is eternal… Therefore, WE ARE ALWAYS CONFIDENT.” Paul goes on to say that when we leave this body, we go home to be with the Lord. That is our ultimate confidence. That is the confidence that will get us not just a long ways, but all the way to our eternal home. “If a man die, shall he live again?” asked the desperately ill Job in the Old Testament. ‘No problem,’ says the Lord. The Lord who put our soul and our spirit into this body and this flesh, can certainly have for us another body ready to go when this wears out. In that same passage from II Corinthians that I referred to above, Paul said, “Now we know that if this earthly tent (this body) is destroyed, we have a building from God, (another body), an eternal house in heaven, not built by human hands.” Even when weakened by old age, riddled with cancer, and finally destroyed by death, the Bible tells us there will be a building for us, a body, from God, an eternal house in heaven. 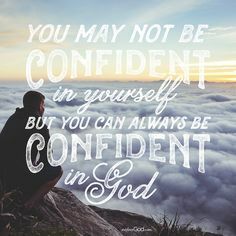 And so God says, we can be confident. This, says Romans 5:5, is a hope that will not disappoint us. Ray died at home last Friday afternoon with his family around him. When it was looking like the end was near, someone started praying the Lord’s prayer. Right after they all said ‘Amen’ Ray breathed his last. The very last words Ray heard on this earth were the words of that wonderful prayer of Christian confidence: “Thy kingdom come, Thy will be done on earth as it is in heaven… for Thine is the kingdom and the power and the glory forever and ever.” Even in death we are in the hands of that God, and that is a good and safe place to be. As the New Testament says, nothing, not even death can separate from the love of God. Believe that and you will have a hope and a confidence that will never be disappointed. II Corinthians 3:4 — Such is the confidence that we have through Christ toward God. II Corinthians 5:8 — Yes, we do have confidence, and we would rather be away from the body and at home with the Lord. Hebrews 10:35-36 — Do not, therefore, abandon that confidence of yours; it brings a great reward. For you need endurance, so that when you have done the will of God, you may receive what was promised. Romans 8:38-39 — For I am convinced that neither death, nor life, nor angels, nor rulers, nor things present, nor things to come, nor powers, nor height, nor depth, nor anything else in all creation, will be able to separate us from the love of God in Christ Jesus our Lord. Whenever I think of Uncle Ray, there is one particular memory that comes to mind. I remember a hot summer afternoon, perhaps about 15 years ago, when Ray and Laverne were living on East Silent Lake. Many family members were there for a weekend visit. We swam, went boating, did some fishing, and had many good conversations. On the afternoon that I remember best, all the men were sitting on lawn chairs in a circle on the driveway talking about the good old days; and for the longest time, all the attention was on Ray. He was in his finest story-telling form that day, and he told story and after story. Stories of childhood, stories of his days in the military, stories of the truck driving days, stories of loved ones long gone; on and on he went. I remember thinking, “This guy can really tell a story;” and he had so many to tell. He never ran out. I recall thinking back to seminary classes where I was taught how to tell stories and use them effectively in sermons. But as I listened to Ray I realized that to be able to tell stories like that isn’t something you learn in a class. It’s a gift, and either you’ve got it or you don’t. Ray had that gift. The part of Ray’s personality that impressed me the most was his self-confidence. Maybe that is part of what it takes to be a good storyteller– you have to be confident enough to believe you have something to say. And Ray was confident of his opinions and confident of his decisions and confident about everything he said and did. He was a bold, forward moving guy, who didn’t spend any time hemming, hawing, or having second thoughts about anything. That doesn’t mean he was always right. And that doesn’t mean that such bold confidence is always the best way to be. Every personality trait has its advantages and disadvantages. I am not saying any of this to flatter or to criticize, but simply to state a fact. Ray went at life with a great deal of zest and drive and an unshakable confidence. I have been wondering these past few days where such confidence came from. Ray was the baby of the family, his mother died when he was only 14, he grew up during the depression and then the war, and he was poor. When he was seventeen he came to live with my grandparents. He was grandmother’s little brother and was going to work for my grandfather; and so he was going to stay with them for a while. My dad, a young boy at the time, remembers how Ray arrived at the door carrying everything he owned in a paper sack. Ray had a humble start in life. So where did Ray’s powerful self-confidence come from? I don’t know. I do think God makes us in a certain way, not only physically, but also on the inside. And then, I believe it is up to us to make something of what God has given us, by making our own good decisions. Ray had to depend on himself and he had to work hard, and that can build confidence. We can make some guesses about why people are the way they are, but we really can’t say for sure why some lack confidence, and others, like Ray, are filled with self-confidence. And that self-confidence, that ‘depending on yourself’ can get someone a long ways in life. It served Ray well, and he enjoyed great success in all that he did. But such confidence can only get you so far. That ‘self’ we have to depend on does eventually get old, and it can get sick, and it will weaken and die. And that ‘self,’ no matter how strong and confident and self-sufficient, may well, in the end, have to depend on everyone else for everything. And then death comes, when no one help you any more. Self-confidence can get you only so far. II Corinthians 11:17 — In this self-confident boasting I am not talking as the Lord would, but as a fool. Jeremiah 17:7 — Blessed is the one who trusts in the Lord, whose confidence is in him. For you have been my hope, Sovereign Lord, my confidence since my youth. From birth I have relied on you; you brought me forth from my mother’s womb. I will ever praise you. Scarcely a week goes by that the NFL doesn’t make more news for what’s going on off the field than on it. Just in the past few weeks, we learned the 49ers released former Pro Bowl defensive end Aldon Smith after his third arrest for driving under the influence. And then we found out that the Jets’ quarterback Geno Smith will miss 6-10 weeks with a fractured jaw after being sucker-punched by a teammate. Well, given the contemporary professional sports climate, he would simply be stating the obvious today. But there are exceptions. There are athletes who our kids would do well to emulate. One of them—Ryan Broyles, a receiver for the Detroit Lions. Drafted in the second round in 2012, he signed a contract worth nearly $3.7 million, including a $1.1 million signing bonus. 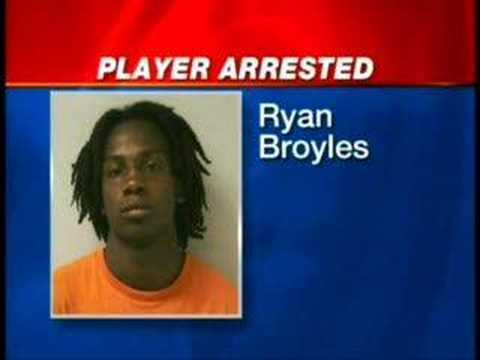 But unlike many other players, Broyles didn’t splurge on a new car or a fancy home. He still owns the 2005 Trailblazer he drove in college. And though he and his wife recently bought a new home, they bought far less home than they could have afforded. Broyles wasn’t always this responsible. Although he grew up in a Christian home that taught him right from wrong, by his own admission he didn’t really know God. Instead he took the blessings he enjoyed for granted. In fact, as a college freshman, he was arrested for stealing gas from a gas station. But the arrest and its consequences got Broyles to thinking about all the things he took for granted in his life. And then a trip to Haiti fully transformed his ideas about God into a relationship with God. During that trip, Broyles “witnessed poverty unlike anything he’d ever seen.” Everywhere he looked, he saw “people with nothing—nothing but their faith.” And yet they were joyful. As he told the News, “I was jealous . . . I wanted to be like that.” Yes, you heard that right. He was jealous. Upon his return from Haiti, he told his then-girlfriend and now wife, Mary Beth, that there “was no turning back” to the way he was. Part of this meant being aware that football gave him an opportunity and responsibility to set an example for others. And I’ll add another label for him—role model. Acts 22:15 — You will be his witness to all people of what you have seen and heard. O God, help us to be masters of ourselves that we may be servants of others. Amen.